Last Monday morning, I left San Francisco at 1am local time, for the start of a month long trip to Singapore, Bali and Bangkok, with Singapore and Bangkok both being stop-overs in my itinerary. My flight originally stopped in Singapore on the way to Bali, and, seeing how I'm a huge fan of Singapore and all the food there, I got the reservations agent to extend the stay. I took Singapore Airlines flight 1 from SFO to Hong Kong to Singapore. Even though this time I wasn't in business class on Singapore Airlines, I was still completely comfortable and slept almost 8 hours on the flight. Definitely my favorite airline ever. 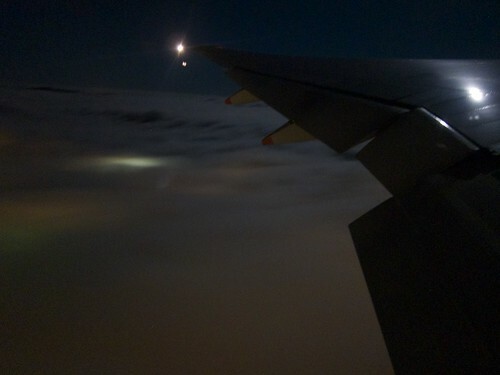 I arrived in Singapore at 11:30am on Tuesday and left at 5pm on Wednesday, making my stay a somewhat short 29 hours. Enough time to eat at least 6 meals, with plenty of room for ice cream and snow ice snacks along the way. 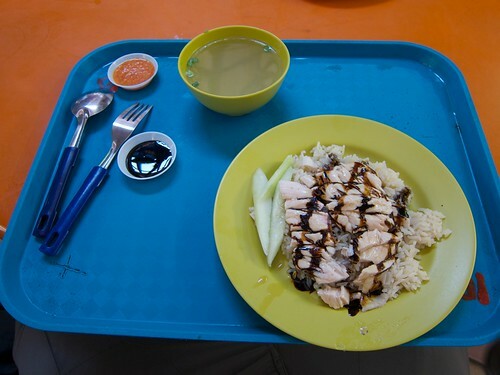 After clearing immigration extremely fast, I hopped on the MRT a measly 30 minutes after landing, at noon, to head to Chinatown where I ate my first dish at the Maxwell Food Center: Chicken Rice at Tian Tian. That place is bomb. I'll eat there any day for any meal. After lunch, I searched around for a place recommended to me by my friends Wade and Marcy. They recommended a shop that sold "snow ice." 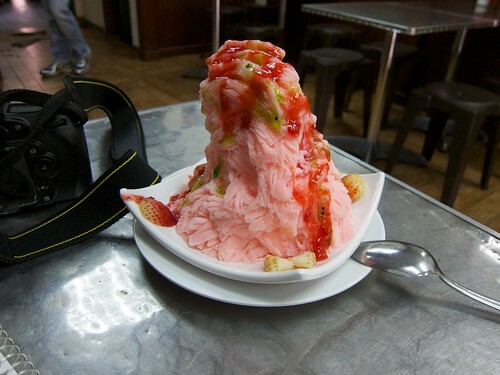 Snow ice is a big pile of flavored ice shavings, though it isn't the kind of shavings that most people are used to. It's the most fluffy, light and really flavorful ice shavings ever. I've no idea how they do it; I'm assuming magic, and I'll stick to that story. At this point, I was severely regretting my decision to wear pants and shoes on the plane. Between the pants, shoes and my big backpack on my back, I was horribly overheating and so immediately went to Little India in search of a place to stay. On the (thankfully) airconditioned train, I started looking at my calendar to figure out what time exactly my flight was the next day. To double-check, I pulled up my itinerary and saw that it said my flight was on the 23rd. But my calendar said that tomorrow was the 22nd. After 2 or 3 more checks, I realized that the damn international date line and time zone changes totally screwed with my ability to insert the flight into my single time-zone supported Google Calendar (come on Google, add multiple time zone support back in!!). So now, I had a full extra night in Singapore. At first I was bummed because I got to Bali later, but then, I was happy because there was so much more food to try in Singapore! After getting to Little India and walking around getting prices from almost every place to stay there, sweating profusely, I settled on a backpackers hostel for $20 SGD (about $15 USD) per night. I showered, put on shorts, sandals and a much lighter shirt and began my tour of the city.